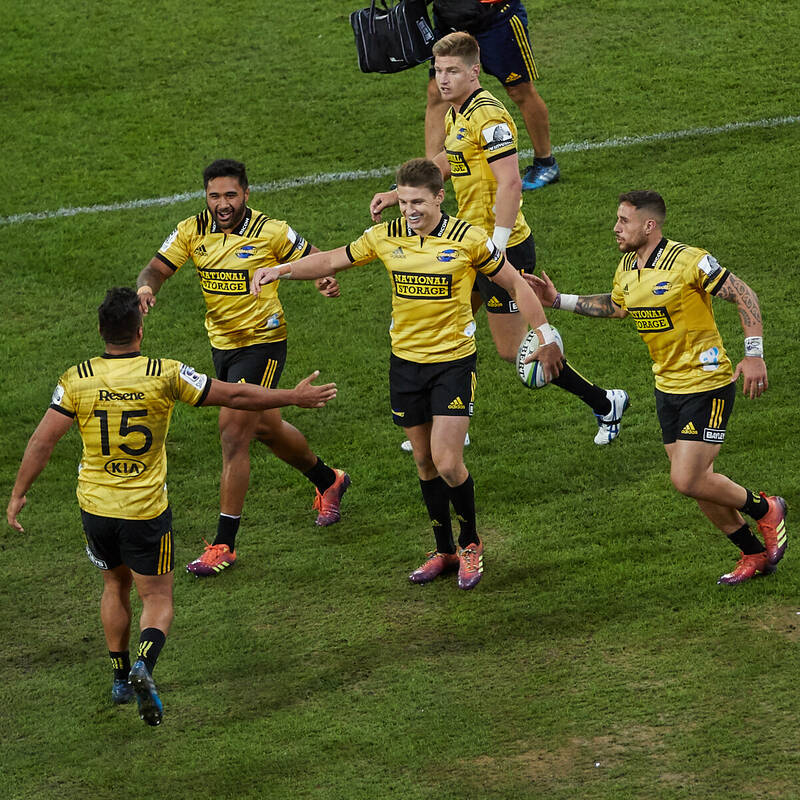 Shop for the official range of licensed Wellington Hurricanes Super Rugby apparel and merchandise. We have the replica jerseys, training range, supporters' range and accessories. Our Wellington Hurricanes Super Rugby range of merchandise and apparel includes the official Adidas replica playing, training and away team jerseys. These are a replica of the jerseys the boys wear on field – the closest you can get to the real thing without being on the team! We even offer name and number personalisation for the back of your jersey! You can choose your own name, nickname or even your favourite players' name and number! Our training range includes performance tees, polo shirts, singlets and shorts. These are made by Adidas with their high performance Climacool technical fabric. It wicks sweat away from the body keeping you cool and dry while training. Our supporters range includes hoodies, jackets, track suit sets, caps, beanies and scarves. We also have a huge kid’s range of gear, this includes the replica home jerseys, tees, caps, hoodies, scarves and beanies. There are plenty of great gift ideas available too – The Hurricanes have an amazing hunting range made by Huntech, known to make the most technically advanced hunting apparel available. We stock the full range of this popular gear – Bush coats, hoodies, fleece tees, even kids and infants tees and onesies.